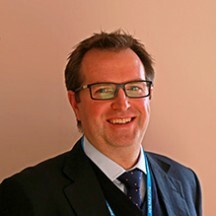 Ynyr Hughes-Roberts is a Consultant Radiologist with subspecialty interests in musculoskeletal, sports and trauma imaging, including image guided musculoskeletal intervention. Ynyr undertook his Radiology training in Cambridge and was appointed as a Consultant Radiologist at the Royal United Hospital in 2016. He also works at the Royal National Hospital for Rheumatic Disease and provides musculoskeletal imaging services to Bath Rugby and athletes from the English Institute of Sport.